Unwind a section of NeoPixel strip from your spool and clip it into one rib of your umbrella. Decide how long you want each strip, and clip with diagonal cutters at the mark where the copper pads connect. Cut eight strips of the same length. Grab your utility knife or scissors. Starting at the end of the NeoPixel Strip without the test wires, cut the strip into eight segments, each having 20 individual NeoPixels. You will see cut lines marked between each double set of copper pads, which makes it easy. At some point you will run across a factory solder point where you need to make a cut. Get your soldering iron to a nice hot temperature and de-solder the joint, using copper braid. Have patience, because these joints are even stronger than you think. You will need to pull gently as you operate the soldering iron in order to be successful. You will need quite a few wires for this project, so it's best to cut them now so you will be ready to solder. 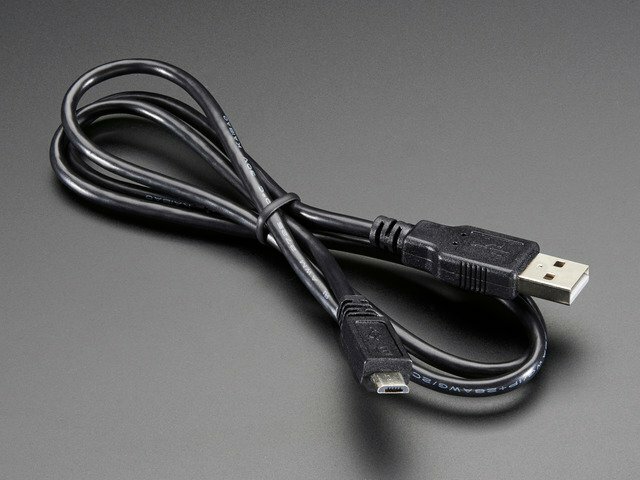 There are three different sizes of wire. Long wires will run down the entire length of the NeoPixel strips. Short wires which will be soldered in clusters of two on the strips in the center of the umbrella. 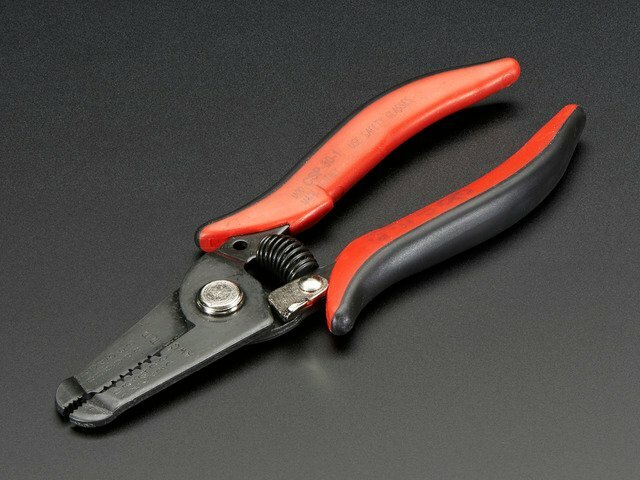 Now that you've double-checked the wires, go ahead and grab your snips and cut. Now would be a great time to prep both ends of the wires using a wire stripper (1/4"). These wire lengths were calculated based on the Totes Dome Umbrella. If you are using a different brand, or you are not sure if it is the identical Totes model, you should double check the lengths by measuring with a piece of string or measuring tape. 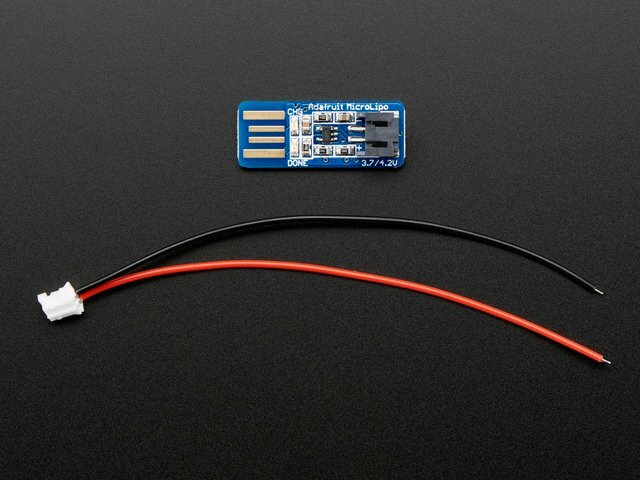 Take the short pieces of blue (ground) wire and gently twist the ends together as shown in the photo, then solder these connections. Repeat with the red (power) wires. 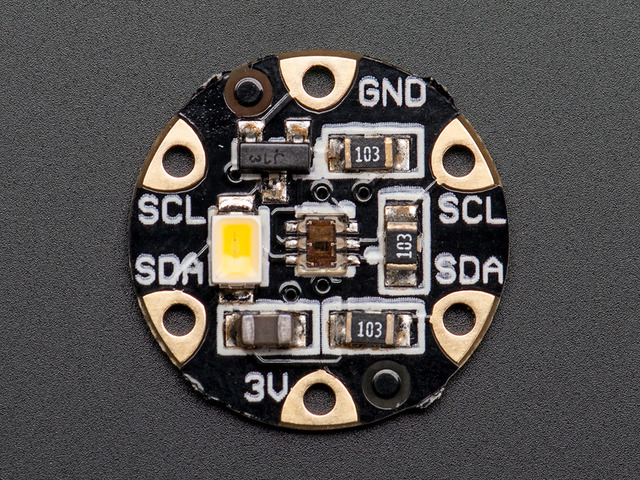 The strips are easiest to solder if you place them in a star-burst design with NeoPixels facing up on a large table. The directional arrows on all of the strips should start at the center and point outwards. Now, using a needle-nose pliers, carefully pull just a tiny bit of the LED strip out of its protective covering. That way you will be able to solder without melting the clear plastic. Use the wired and sealed input end of one strip in your starburst and cut/strip the wires as shown. 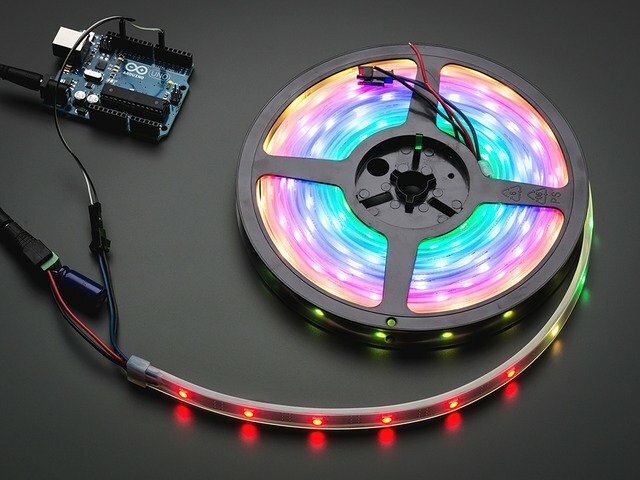 Start with your blue wire chain and one of the black ground wires attached to your NeoPixel strip, if you've got one. Solder the ground connections on each strip by tinning the pad with solder, then heating both the wire and pad to flow the solder together. Repeat for all ground connections as shown. Repeat the whole process for the power connections on each strip, daisy chaining them together with the wires you prepared earlier. Solder one of your long wires to the first strip's input wire, and finish off with some heat shrink tubing. This wire will extend to the FLORA. Now we will do a reverse move on the clear weatherproof covers on the NeoPixel strips. Carefully use your pliers to pull the strips back under the cover. You will need to over pull it so the pads at the bottom of the strips become exposed. Then, solder the other end of each of the white wires onto the DO pads. Once this task is complete, you can again pull the weatherproof covers back into their correct place. Connect the other end of this long wire to the data input on its neighboring strip, using the underside of the flex PCB so the wire doesn't bump shoulders with the power or ground. When you're finished, your wire connections should appear as shown. Double check that your solder joints are secure before arranging the strips in parallel to prep for umbrella-fying. 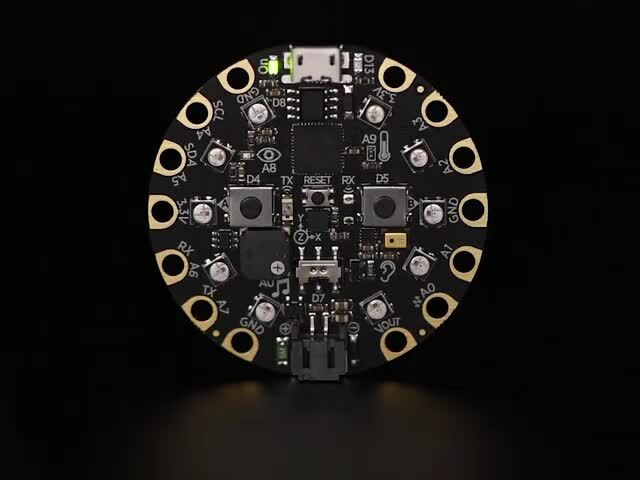 Now that you have things soldered, it would be good to try another test with the strips. Remember that the USB is not powerful enough to light up the strips, so once you load the program, plug the battery in and then turn it on. You should get a vibrant display. If not, use your multimeter to troubleshoot the circuit. Now it's time to prepare the umbrella. This guide was first published on Apr 23, 2014. It was last updated on Apr 23, 2014. 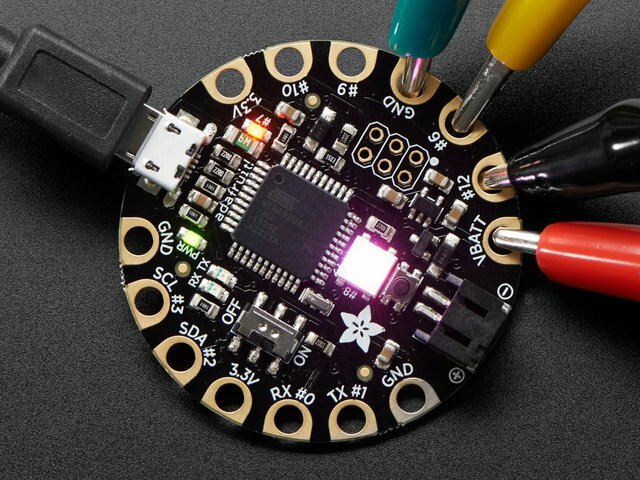 This page (Prepare NeoPixel Strip) was last updated on Apr 21, 2019.